Any conviction in criminal court carries very serious risks. When you go to court, the only person who is looking out for your interests is your attorney. Your attorney is the person you should be able to trust during the uncertainties of DWI litigation. Even if your attorney is licensed and in good standing, is he or she experienced in a court room setting? Is he or she experienced with DWI related offenses? Is he or she focused on criminal law only? This is what sets The Law Offices of Lance Fletcher apart. Lance Fletcher is a former Manhattan prosecutor who knows the system and are devoted to standing up for those who have been arrested for DWI in New York. The Perfect Background. While still in law school, Lance Fletcher interned at the U.S. Department of Justice, the Philadelphia District Attorney's Office, and the Pennsylvania Supreme Court. After graduating, Mr. Fletcher served as an Assistant District Attorney at the Manhattan District Attorney's Office where he prosecuted numerous New York City DWI cases. In 2008, Mr. Fletcher entered private practice and has defended over 1000 misdemeanor cases since. Our Approach to You. When you meet with us, we will sit down and discuss your DWI / DUI case and provide an honest and frank assessment of your situation. We will discuss whether the police had a right to stop you, the existence of any breathalyzer tests or video, whether the prosecutor can prove that you were driving, your chances of success, and what it would take to succeed. Sometimes, it may be possible to negotiate a suitable outcome and realize your objectives early in the litigation. Other situations may demand further effort, up to and including trial. As a former prosecutor, Mr. Fletcher are prepared to work hard to get you the results that you need. Our Approach to Your DWI Case. In a recent case, our client was arrested for his second DWI. The District Attorney announced it was seeking felony charges and jail time. Our client was understandably concerned. We mounted an aggressive defense strategy. After we discovered a critical error committed by the District Attorney, Lance Fletcher's motion to dismiss was granted. Our client not only avoided a felony, he obtained a complete and total dismissal of the entire case. No jail, no conviction, and no suspension. It took numerous court appearances and several written motions. Not all lawyers would have been willing to fight as long or as aggressively. At The Law Offices of Lance Fletcher, we are prepared to fight for as long as it takes to get you the best outcome possible. We have successfully handled over one-thousand criminal cases. We are prepared to defend your DWI case at any stage in the litigation. Contact us at 212-619-3900 for a confidential case evaluation. We Work Together for You. Because Lance Fletcher has connections with other New York City attorneys, we have greater combined experience than you might otherwise find. Attorney Kevin Jones (of counsel) is an experienced immigration lawyer who can provide immigration related guidance regarding the immigration or international travel consequences of your DWI case. A Devotion to DWI. Unlike other lawyers who handle a variety of different types of cases such as personal injury and divorce cases, Lance Fletcher only handles criminal cases, many of which are DWI / DUI cases. Mr. Fletcher can defend your DWI case, represent you in any DMV proceedings, assist you with license issues, and fight to get your car back if it was seized. Accessibility. Given how stressful a DWI case can be, we believe that you should be able to easily reach your attorney with any question or concerns. 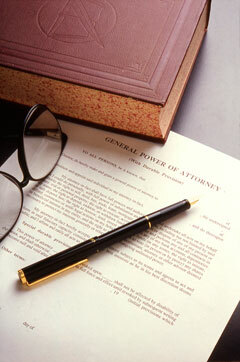 At The Law Offices of Lance Fletcher, we are generally available 7 days a week by phone, text, and email. We have offices in Midtown and Downtown Manhattan and can often schedule appointments after work or on weekends. Results.We are dedicated to providing are clients with the best defense possible. This is accomplished by scrutinizing the conduct of the arresting officer, analyzing the facts of your case to see what, if any, evidence is admissible against you, and protecting your rights at every stage of the process up to and including trial. Feel free to view a sample of our results here.